Published: Dec. 13, 2015 at 04:07 p.m. Published: Dec. 13, 2015 at 03:34 p.m. 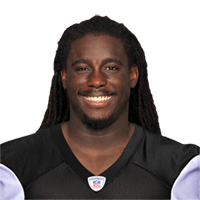 Published: Nov. 9, 2014 at 04:17 p.m.
Jacksonville Jaguars running back Denard Robinson finds the end zone with a 1-yard touchdown run, followed by a successful 2-point conversion. Published: Nov. 9, 2014 at 01:27 p.m.
Jacksonville Jaguars running back Denard Robinson breaks free for a 32-yard touchdown.